In Lake Mary to preach support for three budget priorities he’s not getting yet, Gov. 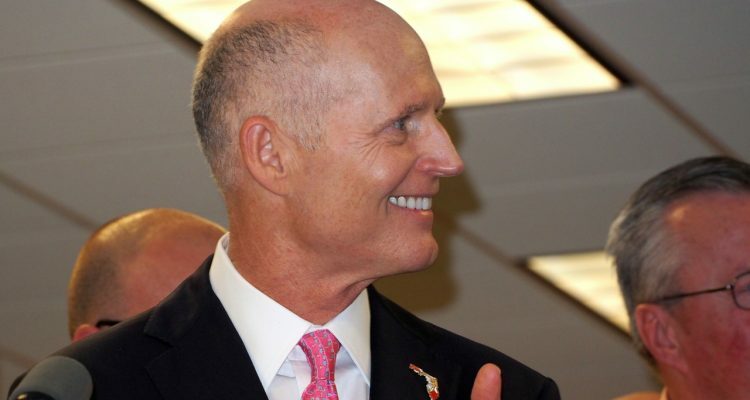 Rick Scott said Wednesday he wants to see the Florida Legislature adopt a budget yet this week and would not commit to vetoes if he he doesn’t get what he wants in it. Scott made the first of 10 stops on his three-day “Fighting for Florida’s Future whirlwind tour of Florida at PowerGrid Engineering in Lake Mary and delivered much the same presentation he’s been making for a couple of months, pushing for support of Enterprise Florida and Visit Florida, and urging people to call lawmakers who oppose full funding for them. In this tour he’s adding a push for money for refurbishment of the Herbert Hoover Dike on Lake Okeechobee, but otherwise sticking to a script he used in numerous appearances around the state since March: crediting his economic development corporations with driving Florida’s growing economy, and warning of economic and tourism stagnation without them. Yet as the Florida Legislature struggles to complete its annual budget bill in time for the scheduled end of the session on Friday, making an extension or special session more likely, Scott said he still wants and expects a budget this week. And if he doesn’t get what he wants, $200 million for the dike, $100 million for Visit Florida and $85 million for Enterprise Florida? “As governor you have a lot of options. As you know, I have the option to veto the entire budget, and I can go through every line and try to veto that. So I have a lot of options. I’m going to go through and make sure we do the right thing for our families,” Scott said. Right now the budget appears to call for no money for the dike or Enterprise Florida and $25 million for Visit Florida, the latter two projects strongly criticized by House Speaker Richard Corcoran and others as bloated and out of control with their heretofore not-very transparent spending. Yet Scott argued that both programs drive economic development in Florida, crediting Enterprise Florida with 900 companies moving or expanding here, and crediting Visit Florida with pushing Florida’s annual visitors totals from 80 million to 113 million, saying he wants 120, 125 or 130 million, which is why he proposed increasing Visit Florida’s budget from $80 million to $100 million. “We have three days left. This is our chance,” he said. The dike may actually require another $600-700 million on top of the $200 million Scott sought this year. The governor said he has a commitment from President Donald Trump to provide money to complete the dike by 2020 if Florida gets it started. 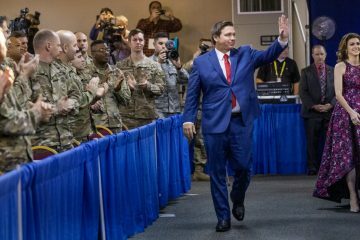 Scott also slammed the Florida Legislature budget talks as secretive, saying he does not know what is or is not in the budget.